A little paradise at the heart of the Alps, Valais offers its visitors – and residents – a wide range of attractions: ski resorts, small, unspoilt valleys for walkers, leisure facilities and thermal spas, agricultural and wine-themed tourism, mountain biking, paragliding, etc. Some of its ski resorts, such as Crans-Montana, Verbier and Zermatt, enjoy international renown. Valais may be primarily known as a tourist destination, but it is also well-loved by those who live there for its beauty and its landscapes, its favourable climate and the conviviality of its inhabitants. 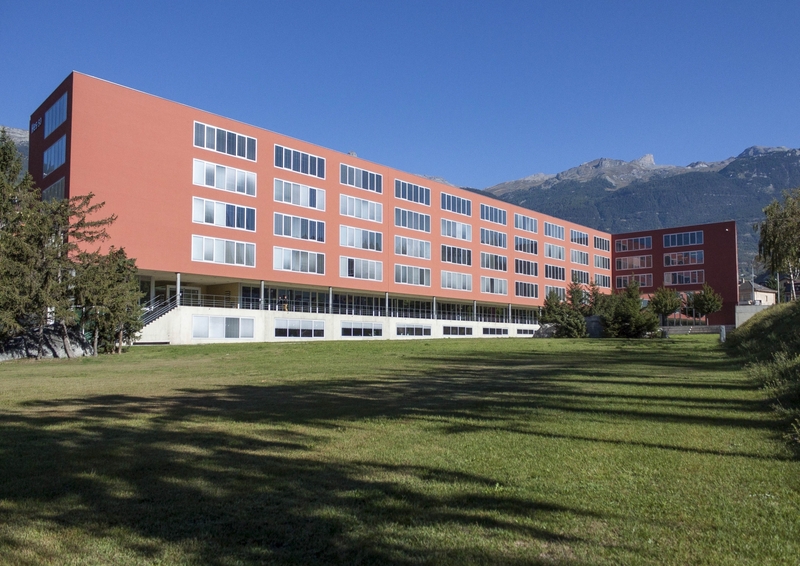 Located in Sierre, the Business Information Technology degree programme at the HES-SO Valais-Wallis welcomes its students to the third-largest town in the canton, famed for getting the most hours of sunshine in Switzerland. Known as the “Sunshine Town”, Sierre is not content merely with enjoying its natural wealth, but also offers a full schedule of events, including notably the “Couleur pavé” street art festival, the Sierre Blues Festival, the Salon Vinea celebration of Swiss wines, etc.